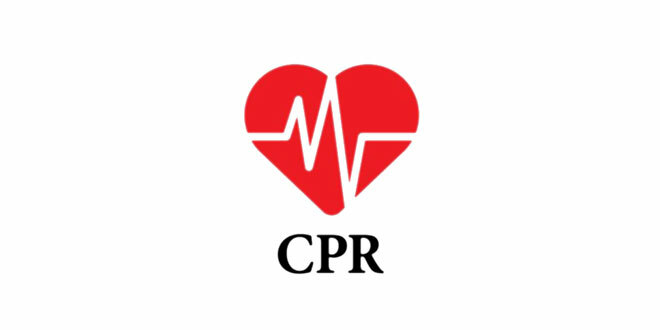 Cardio Pulmonary Resuscitation, commonly called CPR, is one of the main elements to survival in cardiac arrest. To clear up a common misconception before going any further, the difference between a heart attack and cardiac arrest is very simple. A heart attack occurs when a blocked artery prevents oxygenated blood from reaching one or multiple sections of the heart. If the blocked artery is not medically evaluated and treated rather quickly, the part of the heart that is normally nourished by the affected artery begins to slowly die. The longer a person goes without treatment the heart will sustain greater damage. Symptoms of a heart attack may be immediate and intense or could start slowly and persist for hours, days or weeks before the actual event of the heart attack. Symptoms can range from, but are not limited to, chest discomfort or pain affiliated with or without pain that radiates to the left arm, pale skin, nausea, shortness of breath, diaphoresis (sweating) and any other discomfort elsewhere in the upper body. Heart attack symptoms can appear the same or different for women and should be dealt with more cautiously due to its potential discreetness. More common symptoms for women include arm, back, neck, and jaw pain; these symptoms may indicate a heart attack and should also be treated with a sense of urgency. Unlike in cardiac arrest, the heart usually does not stop beating during a heart attack, but with any of these symptoms listed above, dial 9-1-1 right away for immediate medical attention. 1. Early recognition and calling 9-1-1. This fire safety message brought to you by the City of Marco Island Fire Rescue Department. 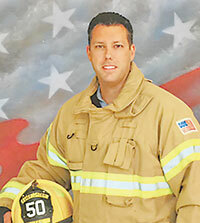 Chris Bowden is a Marco Island Firefighter/Paramedic as well as the Public Education Coordinator. Growing up on the Island, he feels passionate about giving back to the community. During his time off, he enjoys spending time with his wife, Katie and daughter Emily. Chris can be contacted at cbowden@cityofmarcoisland.com or 239-389-5040. Robert Riegler, known mainly as “Bobby” by his fellow firefighters, is truly one of the best in the business. Born and raised in Miami, Bobby graduated from Christopher Columbus High School and has more than 15 years experience being a firefighter and in emergency medical services. He is currently working on his bachelor degree in emergency and disaster management. Robert started his career with AMR (American Medical Response) as an emergency medical technician, quickly working his way up the ladder to shift supervisor overseeing more than 300 employees and 70 ambulances daily. He also served as part of AMR’s Miami-Dade County Division Federal Disaster Strike Team as a lead supervisor during Hurricane Katrina in Mississippi, Hurricane Ivan in Pensacola, and Hurricane Charlie in the Southwest Florida/Port Charlotte area. Working alongside with FEMA DMAT teams and multi-Florida agencies during Hurricane Charlie, Robert found new interest working with Collier County EMS crews and became familiar with all of the Southwest Florida emergency personnel. In 2006, Robert joined the Collier County EMS Department as a paramedic/firefighter but soon after, decided he would make the transition to the highly respected Marco Island Fire Rescue Department. Being with Marco Island Fire Rescue for nearly nine years now, he holds the title of Rescue Lieutenant. Aside from work, he makes time at home for his lovely wife of 14 years Michelle and four adorable kids: Robert Jr., 13, Nicholas,10, Madison,8, and last but not least, Aubree, 2. He volunteers as a football coach, and also as a baseball coach for a little league team. He also manages his own lawn and landscape corporation.